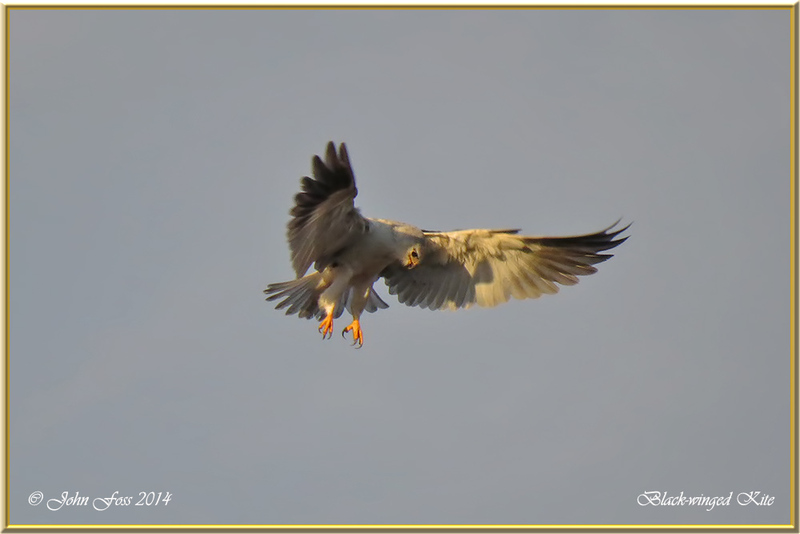 Black-winged Kite - I first saw this fine raptor at distance hovering over a field in Cabanas in the Algarve Portugal. It's hovering behaviour led me to believe it was a Kestrel as it hovered with the head rock steady and looking down. As I got closer I could make out it was a Black-winged Kite. I had never seen one of these fine birds before so I was pleased to have witnessed the sight of Magpies and Jays trying to move it on with aerial bombardments! Spectacular sight. This first image of this stunning bird is typical of this kite. 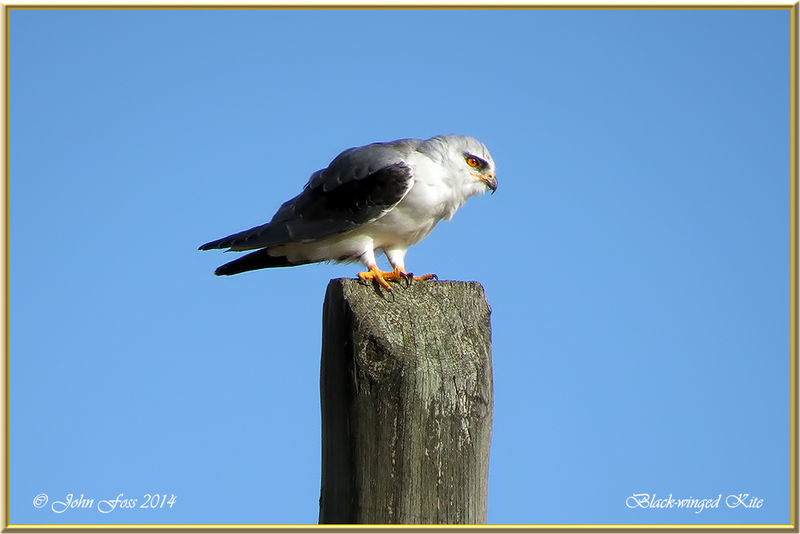 Perched high on a post or wire scanning the ground for prey such as grasshoppers, lizards, frogs etc. It will also take bats from out of the air. 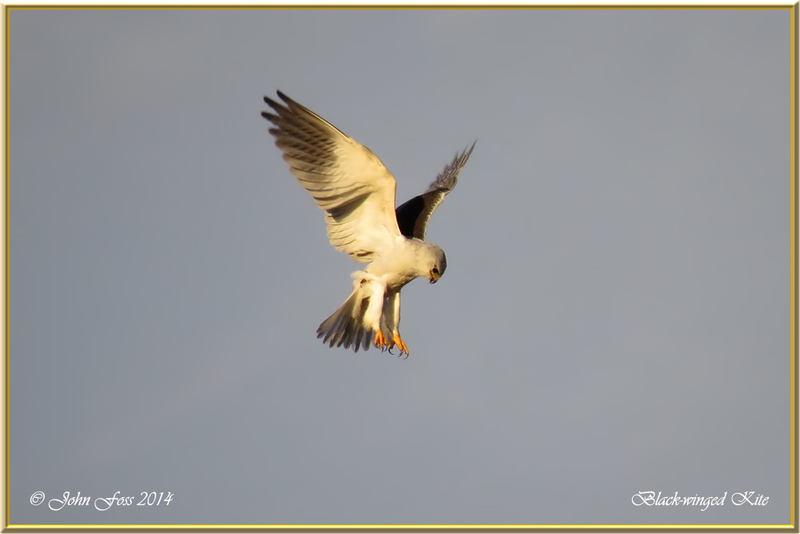 Very similar to the Australian Black-shouldered Kite. I was lucky enough to come across the Black-shouldered in Bundaberg Australia.